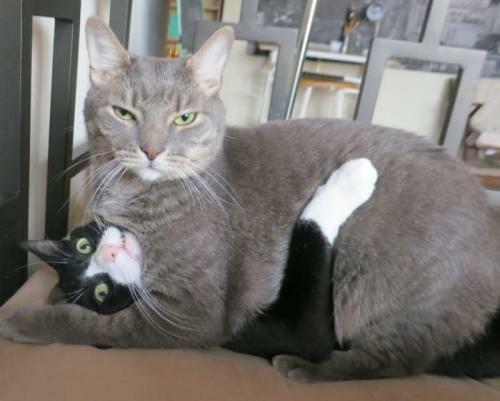 Happy Caturday! 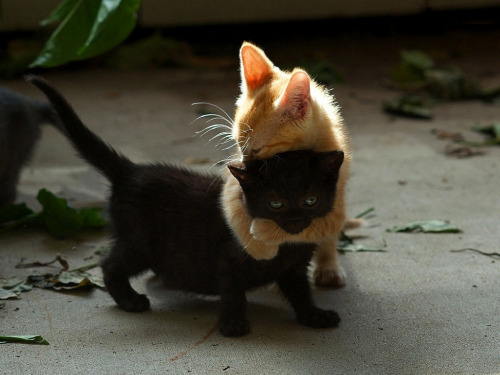 Every Saturday I post something cat related, because if anything can make a lazy Saturday better, it’s cats. 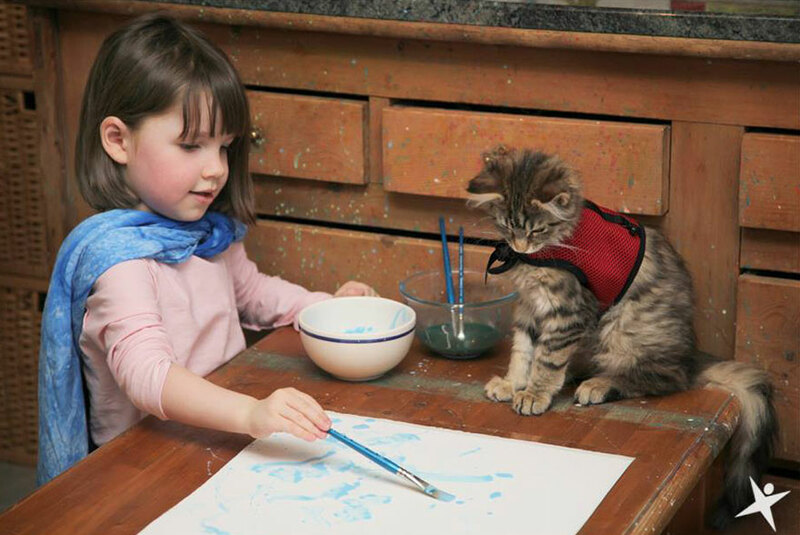 Today I discovered the artwork of Iris Grace, a five-year-old girl with autism. Iris is slowly learning to speak and develop social skills, but her painting abilities are extraordinary. Her understanding of form, movement, and color is amazing for someone so young. Her mother says she she can concentrate on a painting for two hours, and her paintings are being sold to help pay for her therapy. 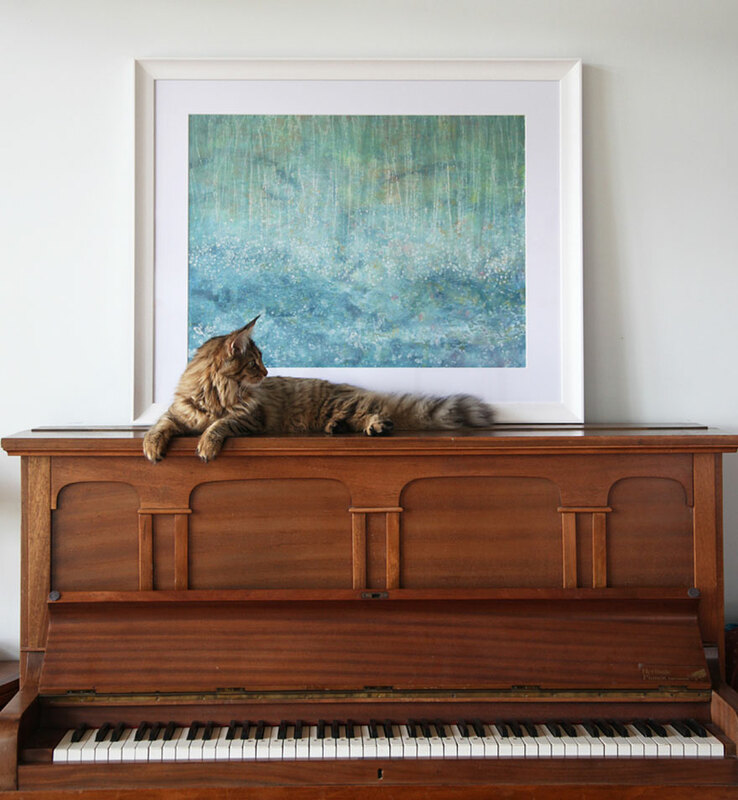 In many of the pictures of Iris painting, she is accompanied by a fluffy cat named Thula. Iris’ parents had heard of the value of a therapy animal for children with autism, but none seemed to help Iris until they found Thula. Thula does everything with Iris now—from helping her paint, to going on walks, and even taking baths. 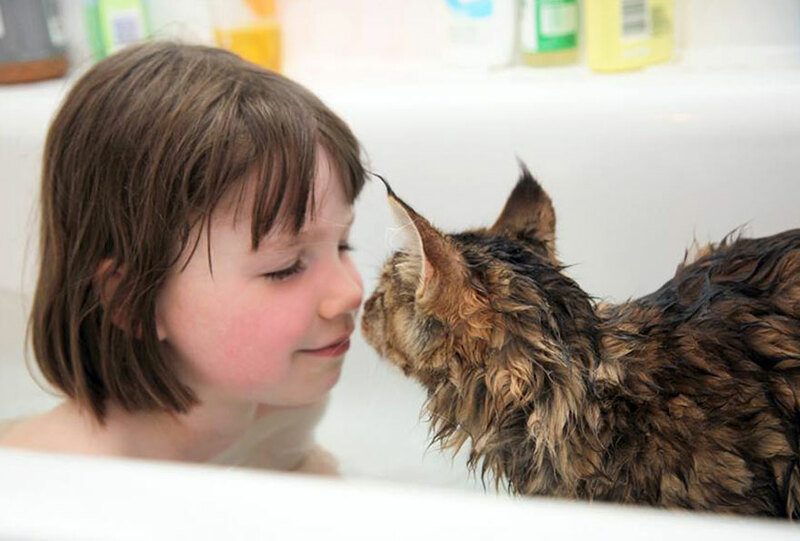 Iris recently went through a phase where she disliked bathing and having her hair washed, so Thula now jumps in the bath with her and lets them shampoo her first! While the cat is not a trained service cat (Iris did not seem to care for those), there’s not doubt that she has a special touch with the little girl. Her parents say Iris is more active in the morning now, and will talk more to Thula than to others (short phrases such as “sit cat”). I’m so inspired by both Iris and Thula! It seems like they are both very good friends, each with their own special talents. 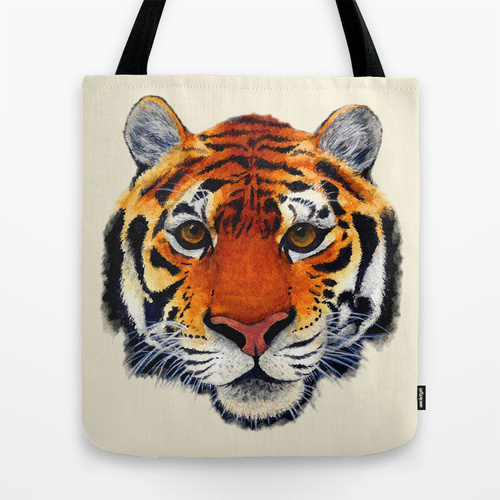 To see and buy Iris’ amazing artwork, visit her official website. 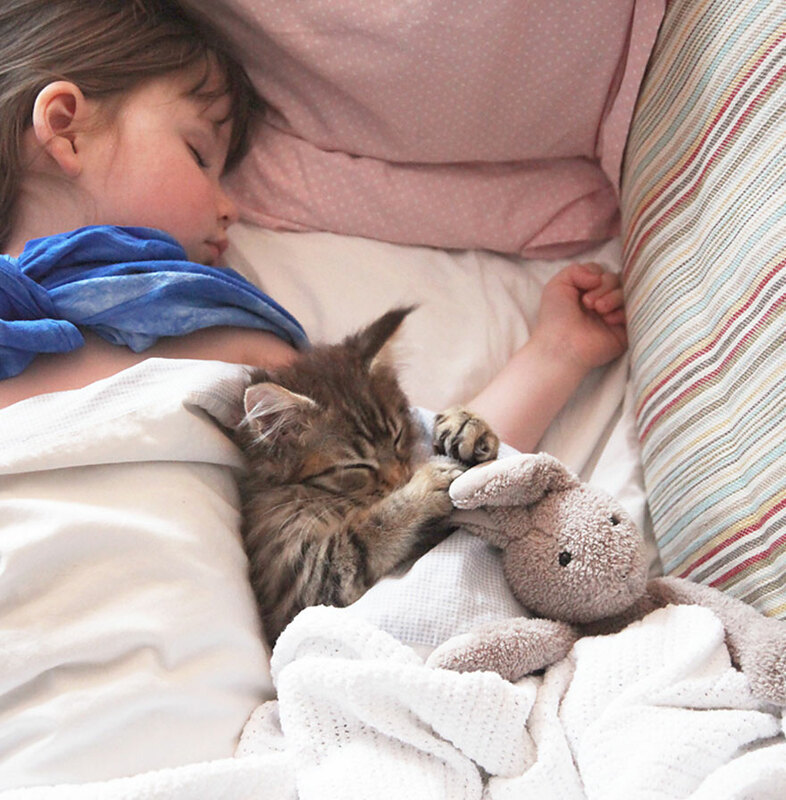 Here’s a feel-good story to wrap up another beautiful Caturday. 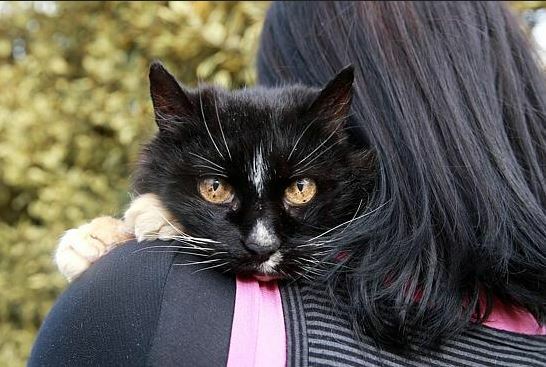 One day a cat named Shelby went missing from her home in St. Albans Park, Geelong, Australia. The family had no idea where she went, but a few days ago she turned up in their front yard. Thirteen years after she had gone missing!